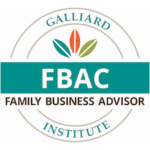 The Galliard Family Business Advisor Institute is proud to offer its flagship training program, the FBAC, to provide consultants, advisors, professional service providers and community advocates an opportunity to learn what makes a family business tick! We will explore the unique features of the family business and learn how, in our various roles, we can assist the family to become more engaged and equipped to build value, meet the challenges of both business and family and create a sustainable business for the future. Consider joining us at an FBAC Training near you! Details on the Training Calendar. 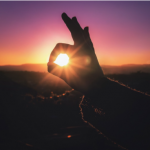 The FBAC has been specifically designed for consulting professionals and is not intended for clients such as family-owned and closely held businesses. Successful advisors are typically comfortable with developing and maintaining interactive relationships with business and family members. In many instances those individuals will be business owners and entrepreneurs. To explore the unique features of the family business and learn how, in our various roles, we can assist the family to become more engaged and equipped to build value, meet the challenges of both business and family and create a sustainable business for the future. 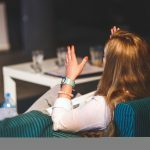 Understand the techniques to build trust with their client companies. Experience an increased understanding of the impact of family dynamics and family systems on organizational change. 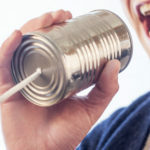 Report a variety of tactics to improve communication between family members/owners/leaders and professional advisors. Understand key methods to develop and maintain momentum in organizational change and transition. Understand the various roles that the advisors play and when they could be employed. 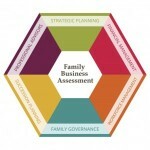 Confidently employ a number of tools to enhance family decision-making. Understand the role of conflict in the business dynamic and ways to minimize its negative impact. Employ a coach approach to begin the succession and transition discussion. 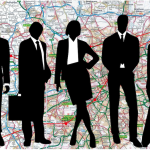 Learn how to identify areas where outside, professional expertise is needed (e.g. Estate Planning). Develop an action plan with clients to gain commitment and momentum for change. Understand and commit to the use of the materials and tools in the spirit of true partnership with Galliard. Many of our advisors strive to become certified in the Galliard methodology. Certification requires completion of the Core Training, successful completion of the on-line knowledge assessment, the design and completion of a project and the submission of a written case study. 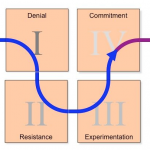 “Deep psychological constructs; new filters for difficult conversations. Lisë is a master consultant! “The workshop was great. Full of useful information that can be applied to real life situations. Check out the sidebar for upcoming FBAC trainings, and click through to register. See you there! Cost of the training with certification is $1,695 ($1525.50 for members), which includes the two days of training, workshop materials, workbook plus a continental breakfast and lunch both days. Attendees are responsible for their own transportation, hotel, and other meal expenses. Cost of the training without certification is $1,395 ($1255.50 for members). Not everyone wants to be certified in our program – they just want to gain some new skills. You are welcome to pursue certification at a later time.